Community Mentoring is an option for those that consistently visit their mentees and want to do activities outside the school setting. 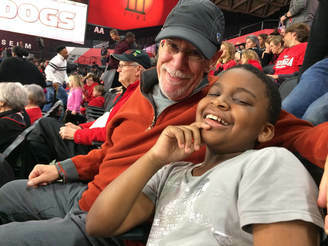 Community activities could include concerts, museums, sporting events, service projects, or Clarke County Mentor Program events such as game nights and field trips to UGA. Becoming a Community Mentor is completely optional. If you would like to know more about the Community Mentoring Program, click on the link below. Must complete at least 3 months of consistent in-school visiting prior to applying. Get approval from your school counselor. Complete a community mentor application. Complete an additional background check (national, fingerprint-based). Continue to change a life. ​Complete 3 months of consistent in-school visiting. Let us know that you have completed an application and ready to become a community mentor by sending us an email.